Note: DeckMate Bass Boat Bucket Seats Bolted Or Screwed Down To Your Seating Platform. 2. Remove each bucket seat's cushion by locating and removing the two bolts that are on either side of the bottom frame of each bucket. 3. Once these bolts are removed you can pull the seat cushion off of the plastic frame. There are strips of industrial Velcro that also hold the cushion in place, pull hard on the seat cushion once the bolts are removed and it will come off. 4. Place each bucket seat in the mounting position. There are two opening in the seat frame (one on each side) that allow you to use a screw and washer to connect the bucket to your seating platform. 5. Install the bucket seat cushion by placing it back into the opening and pressing hard to secure the Velcro, this will hold the seat in place. Seats look awesome. Had a snafu with shipping but Jose in customer service fixed everything. Quality is great. Fit my tr20 triton perfect. Customer support is great thanks. Fast shipping, Excellent quality, customer service and price!!! I don't think you can go wrong with these seats, with reasonable care they'll probably last 10 years easy. I started a custom 23 ft Eliminator Datona twin engine flats boat project a few months ago and the seats/interior were basically the starting point, after searching the web I decided on the large buckets. It will have 3 stacked side by side behind the console inset into the rear deck leaving about 12 inches of the seat above the deck and two sitting side by side slightly lower on the front of the center console. The seats are dictating the width of the cockpit and center console which will be 63 inches and 42 inches respectively. I'll post some pics when it's done on this site. Order these to replace the main seats in my old Cajun. The seats are very nice and really set the boat off nicely. They are very comfortable and was easy to install using my exiting setup with a couple of minor modifications to my hardware to fit the spacing. My only compliant is I wish the same style seat was available in slightly smaller version. This fit the boat but is a bit bigger than the originals, however; with the measurements listed on the site I was aware of this before I ordered. Super quick free shipping, you can't beat that! I replaced the bucket seats in my well maintained and repowered 1997 186 Dynatrak bass boat. With a son in college, I?m trying to get 2-3 years more out of this boat. I give the company an A+++ for their responsiveness and fantastic customer service! Once shipped, the seats were at my door step overnight. 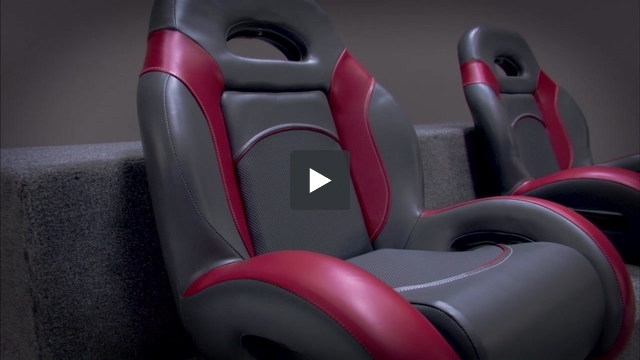 For the price, the quality of the seats are very good and they couldn?t be more simple to install. The seats look great making my boat look years newer ? WOW!